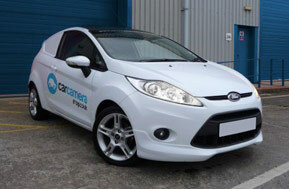 Here at Car Camera Shop we deliver a range of the best quality car cameras on the market to ensure our customers achieve the peace-of-mind that they're looking for when buying from us. We know that in the unfortunate event that you need to call upon the footage your camera has captured, that it needs to provide you with a clear and informative record of exactly what happened. For that reason, we only select the best brands and models of cameras to introduce to our range. We're enthusiastic about this growing market and are continually learning and developing our business to support our customers more. The dash cam market is constantly changing, with technological advances being made regularly, and we strive to introduce the best of these to our product line. While there are many tangible benefits of installing a car camera, from reduced insurance premiums, protection against Crash for Cash fraud and helping to protect your no claims bonuses, there is also evidence to suggest that after installing a camera, many users are more aware of their behaviour on the road and inadvertently become calmer, more patient drivers. With the volume of traffic on UK roads today, incidents are unfortunately inevitable, but we find it positive to know that the simple process of installing a car camera, offers the knowledge that you will capture irrefutable evidence in the case of an accident, but the peace-of-mind that just by installing one, you are likely to become a safer driver. We've taken care to deliver a range of products that offers all the key functionality currently available and at a range of price points that makes them accessible to as many people as possible. We're a small company with big ideas and relish any opportunity to speak to our customers to find out how we can help them further. If you have any queries about our range of car cameras please read our guides covering their many features and benefits or browse our frequently asked questions page. Alternatively, get in touch with us and we'll help you wherever possible. You can email us, phone us, use our live chat function or drop us a line on Twitter, Facebook or Google+. Over time we'll be adding more products to our range and more useful articles, features and reviews to our website. Visit us regularly to check for updates to your cameras and to keep up-to-date with developments in this rapidly changing market.